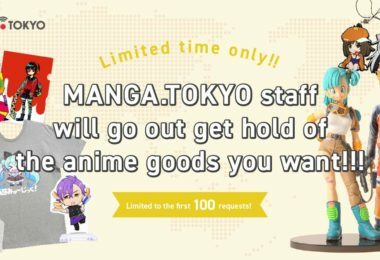 MANGA.TOKYO > Anime Information > Fall 2018 > Anima Yell! 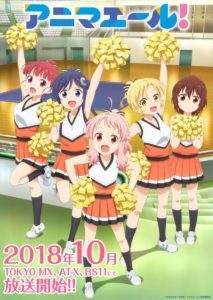 Kohane has always liked to support other people and become their power, so when she graduates from middle school and sees a cheer squad for the first time, she starts a cheer club with her school mate Hizume and her childhood friend Uki. Today as well, these girls will cheer someone up with their positivitiy and power! This sieries is based on a manga by Tsukasa Unohana. 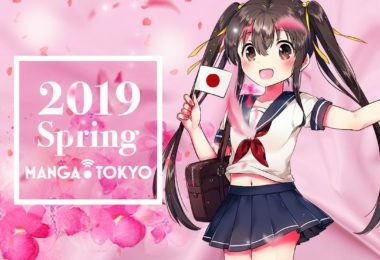 As of September 2018 the manga has three volumes and is still being serialized in Houbunsha’s Manga Time Kirara Carat. 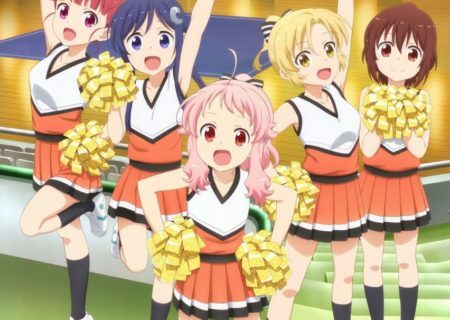 1st Episode Anime Impressions: Anima Yell!